Boojum has announced that they launched their new Poco Pots range that features Chicken, Pork, Beef, Chilli or Vegan pot options. The move is a part of their strategy to broaden their menu choices, following the introduction of Churros, Queso and Crunch’um in 2018. They also mentioned that their Vegan Poco Pot is said to reflect the brand’s aim to cater to the increasing vegan population. Ingredients are said to include slow cooked meats, their signature Mexican rice, fresh in-store guacamole and salsas. “Feedback has indicated that a more convenient and manageable portion size would appeal to new customers, who may see our standard portions as a barrier. 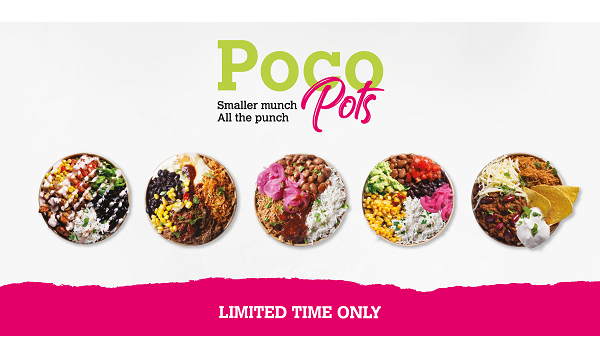 Our new Poco Pots range has been developed with this in mind, and what better time to introduce it than January when we’re all thinking a little leaner,” Nuala McMenamin, Boojum’s Head of Marketing said.